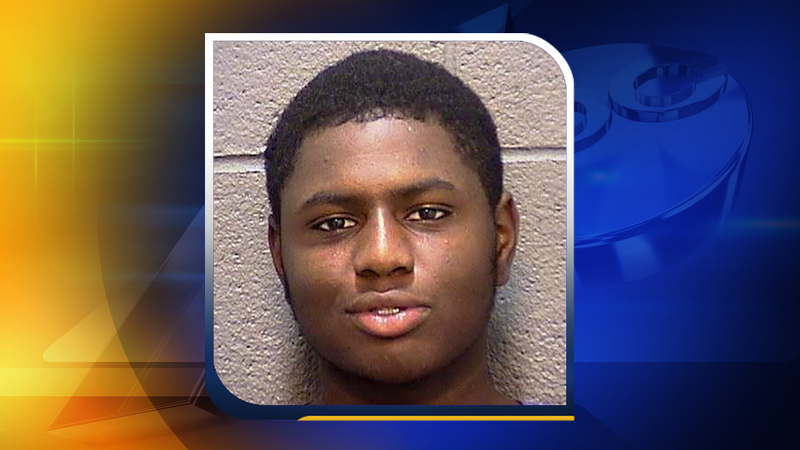 DURHAM, North Carolina (WTVD) -- A Durham man wanted by several law enforcement agencies on robbery charges was arrested Tuesday morning in Hillsborough. Members of the U.S. Marshals Joint Fugitive Task Force arrested 19-year-old Jamel Tyree Lunsford during a traffic stop near Lakeside Drive. October 19 in the 2800 block of Chapel Hill Road - A man and woman were in the parking lot around 10:30 p.m. when three men approached them. The suspects grabbed the woman and took her phone. One suspect hit the male victim in the face with a gun and took his phone and wallet. Lunsford was charged with robbery with a dangerous weapon, felony conspiracy and assault by pointing a gun. October 24 at Golden Pizza, 2300 Chapel Hill Road - Three men wearing hoodies and armed with guns entered the business around 9:15 p.m. and took the cash register. Lunsford is facing charges of robbery with a dangerous weapon, felony conspiracy and kidnapping. October 26 at a park on Cook Road - Lunsford is charged with robbing a man at gunpoint and stealing his car. November 27 at Circle K, 2322 N.C. 54 Highway - Two men entered the business and robbed the store at gunpoint. Lunsford is charged with two counts of robbery with a dangerous weapon and one count of felony conspiracy. Lunsford was also wanted on robbery charges from the Durham County Sheriff's Office and the Raleigh Police Department. He has been placed in Durham County Jail under a $2.5 million bond.